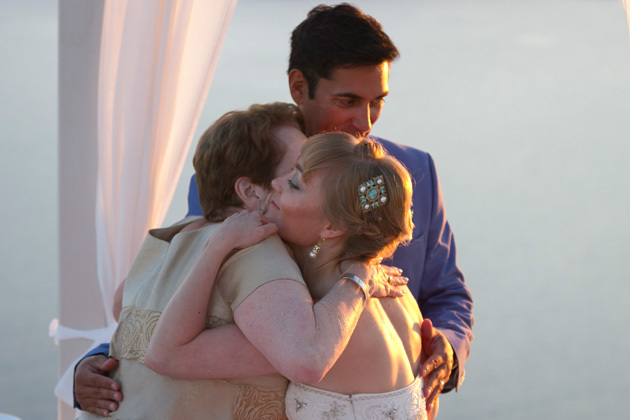 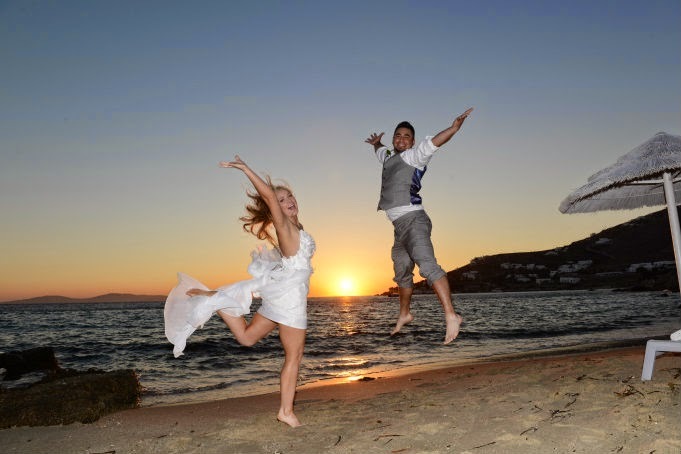 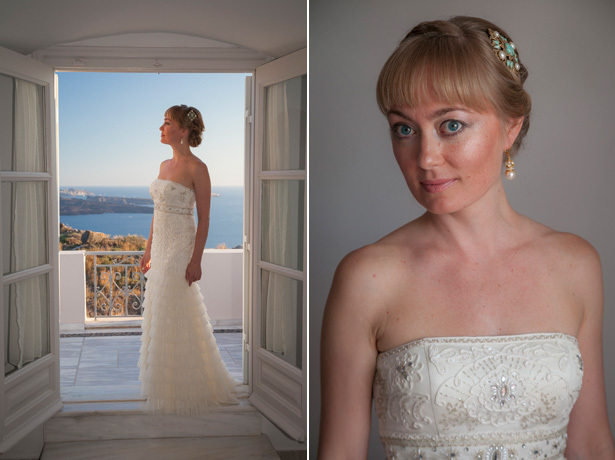 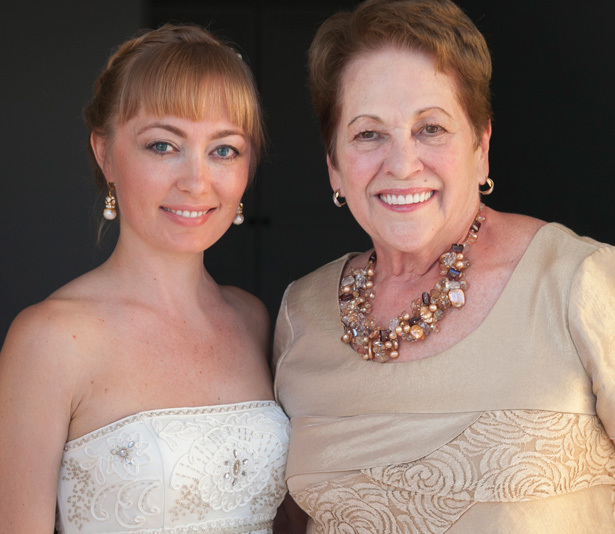 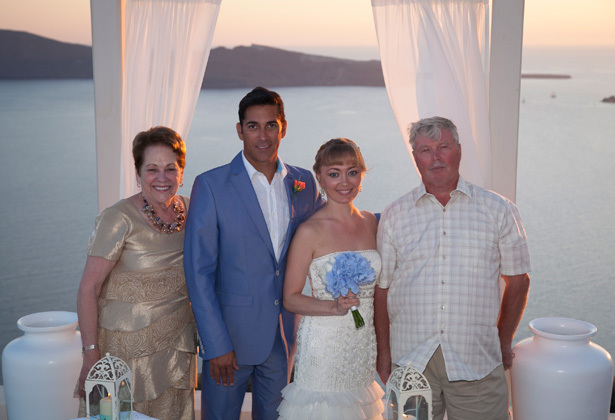 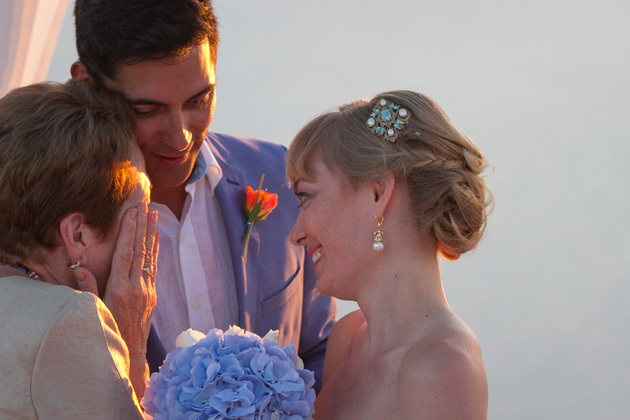 This lovely couple came all the way from USA to have their symbolic wedding in Mykonos island. 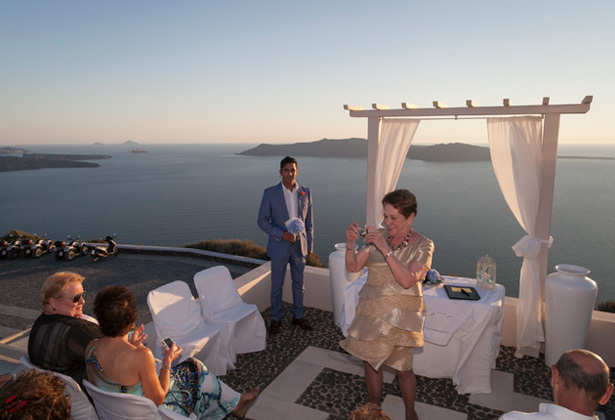 The groom is Greek origin but he does not speak. 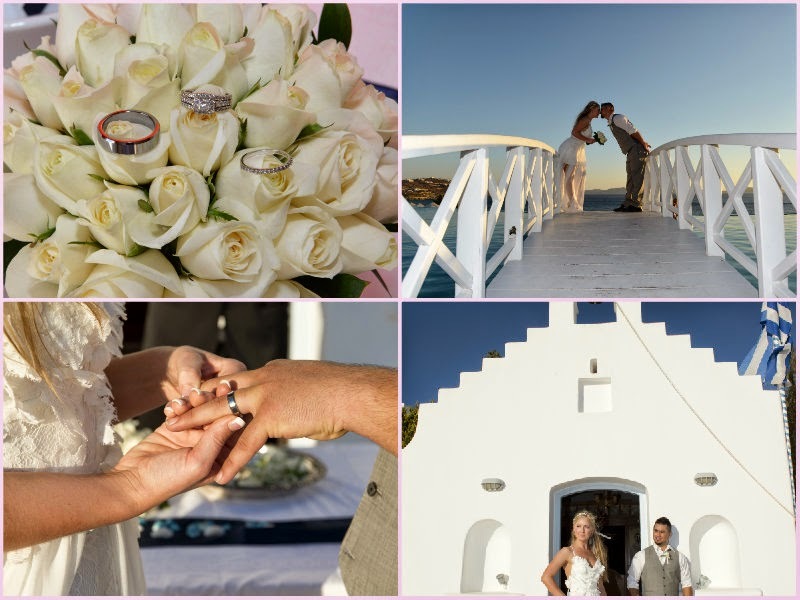 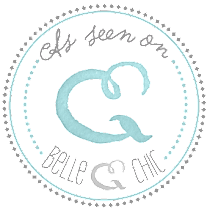 Their request was to have a symblic ceremony in a chapel yard. 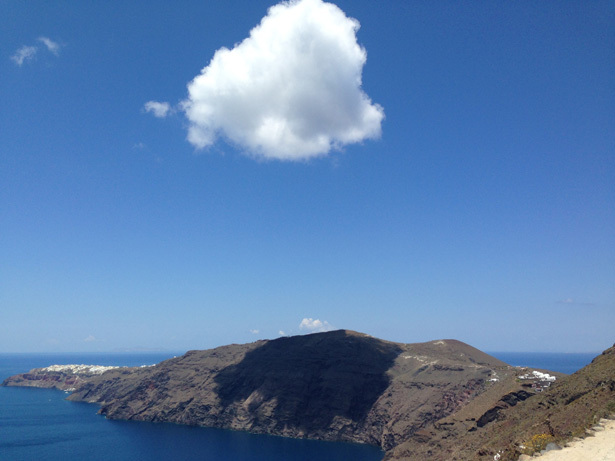 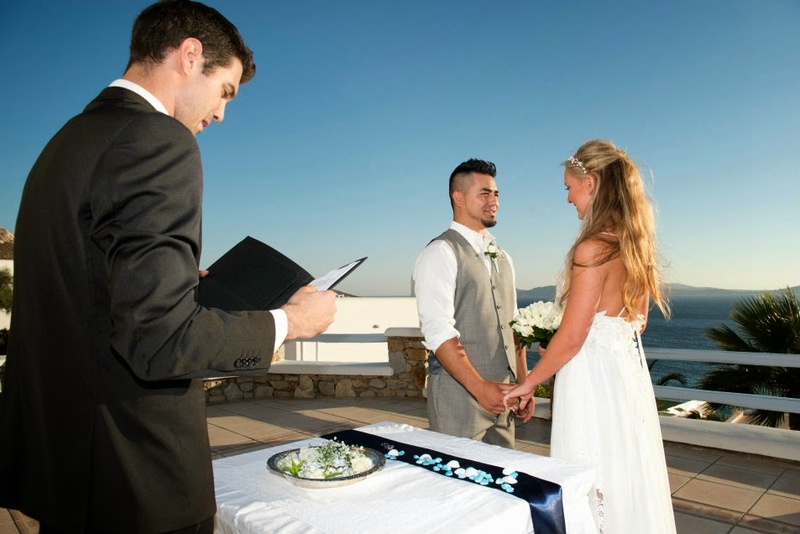 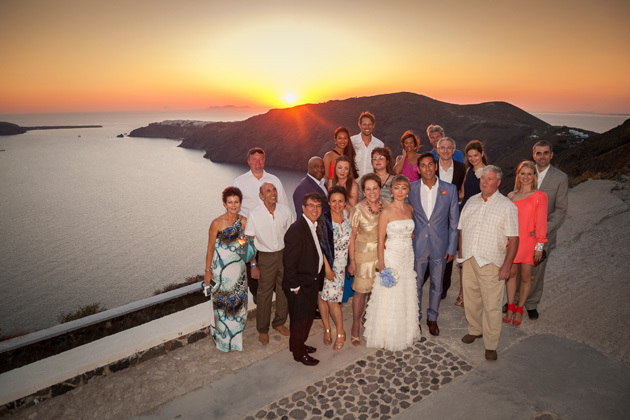 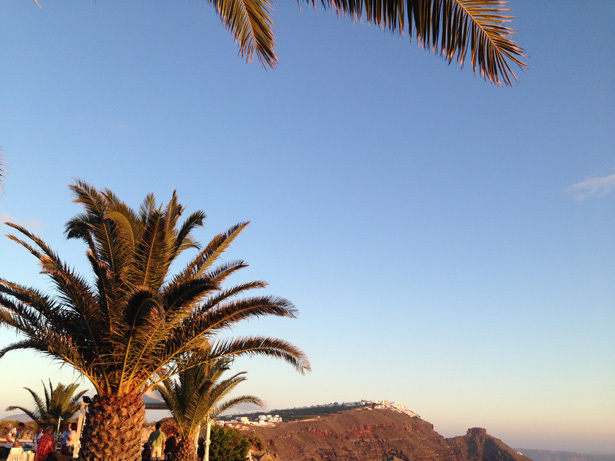 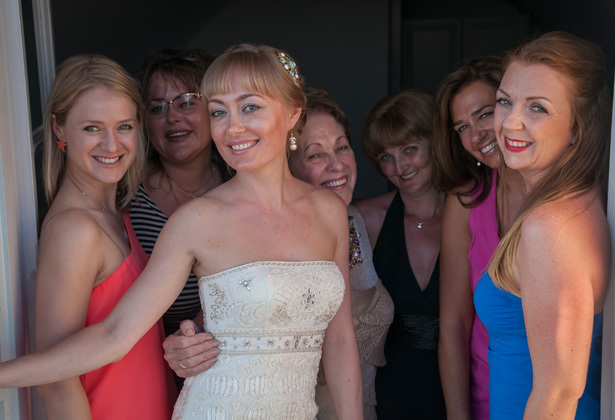 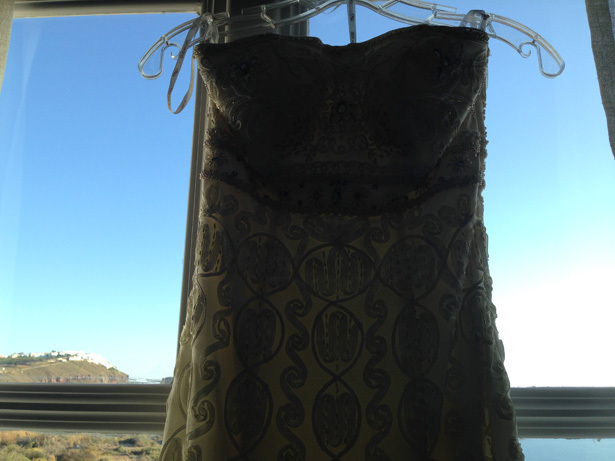 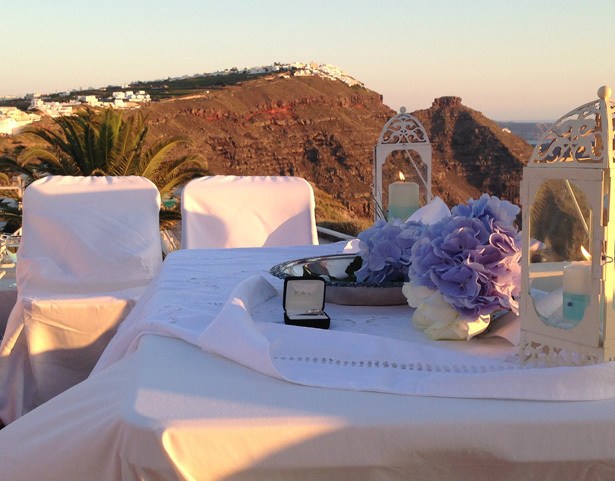 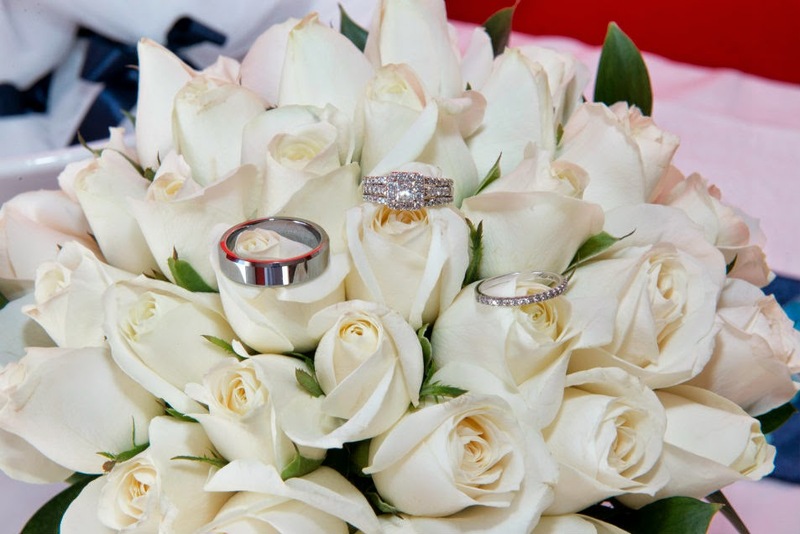 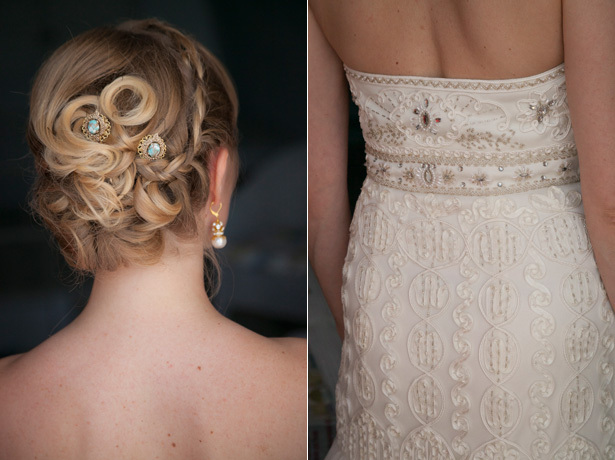 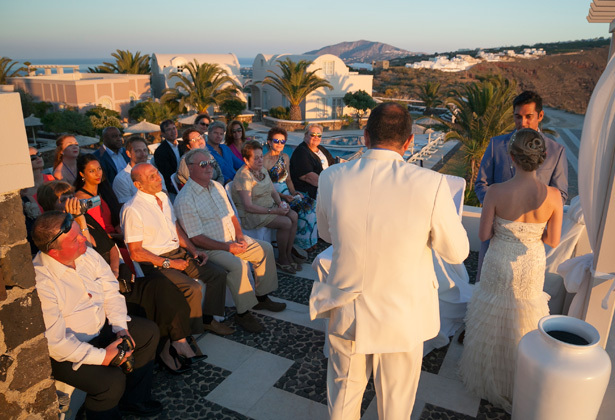 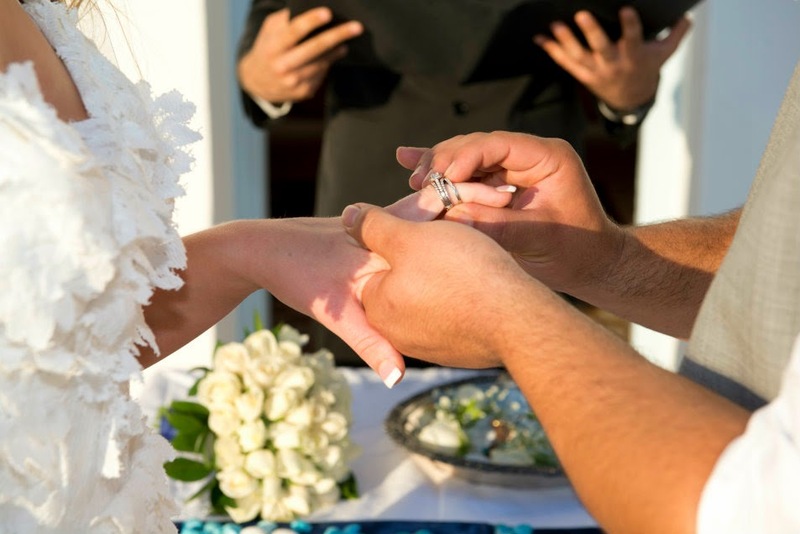 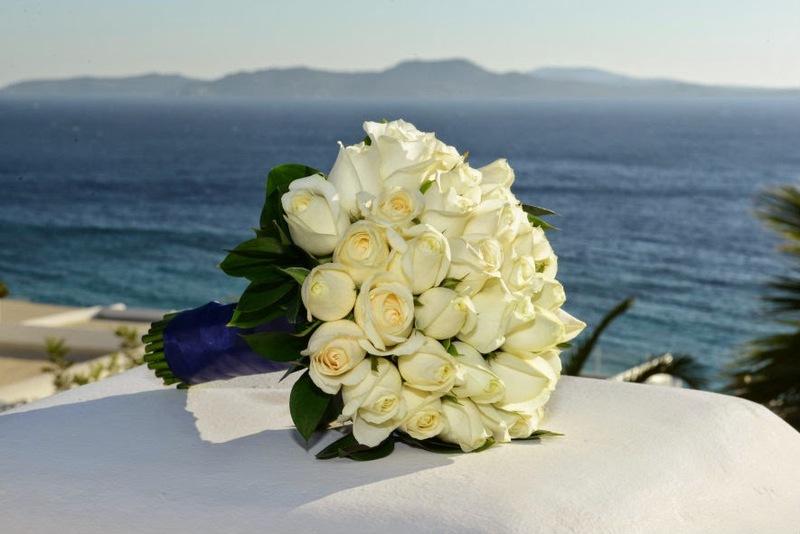 The wedding ceremony took place outiside Santa Forini chapel in Saint John hotel - Mykonos. 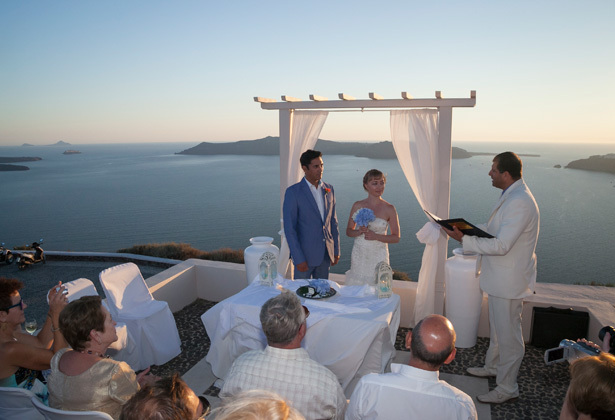 The celebrant with a casual yet beautiful ceremon, did the couple to feel comfortable, to say the pretty words and to give advice for a beautiful life. 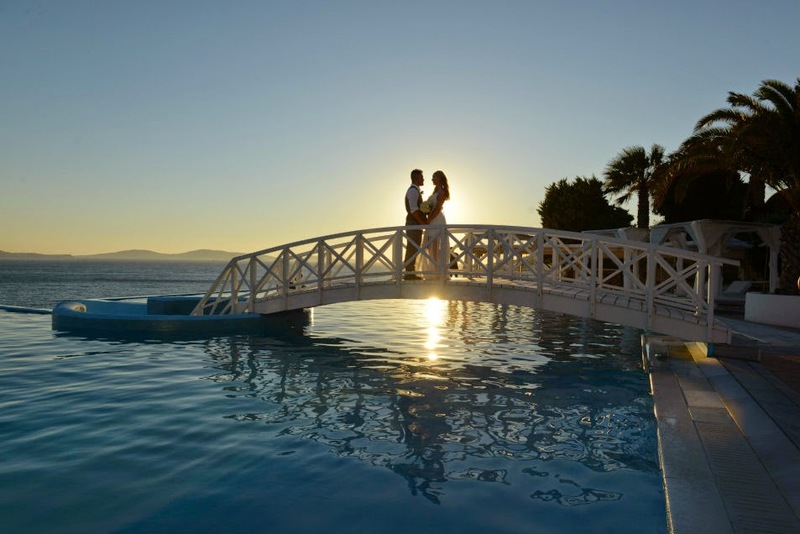 The wedding ceremony took place at sunset time and the couple after the wedding had some photo shots at the hotel premises. 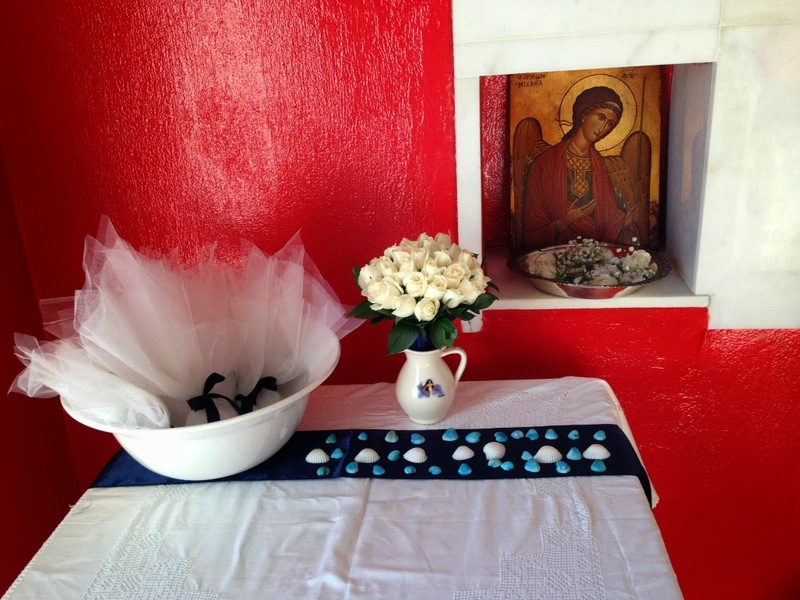 Colot theme was white and light blue.